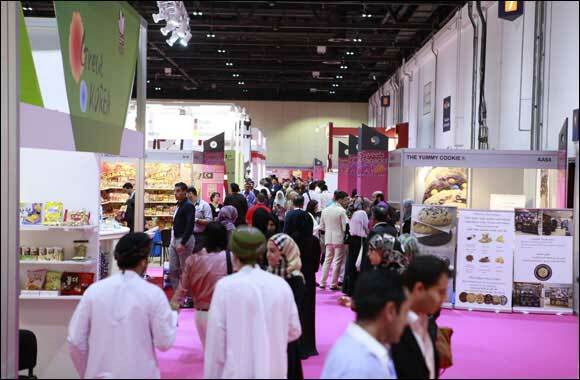 31 August 2015, Dubai, United Arab Emirates: With the UAE and Saudi Arabia claiming the biggest chunks of the region’s annual chocolate spend according to recently released Euromonitor data, a raft of health-conscious, sugar-free snack producers will line-up alongside traditional confectionary producers at Sweets & Snacks Middle East 2015 – the MENA region’s leading platform for the international sweets, confectionery and snack industries. In registering spends of US$38 and US$31 per capita, respectively, the UAE and Saudi Arabia far outstrip the US$4 spend per capita average across the Middle East and Africa. According to KPMG, regional demand continues to grow with confectionary sales across the GCC forecast to increase 20 per cent this year, while the Saudi Arabia chocolate market alone is predicted to swell 43 per cent in 2016. Contrastingly, with more chocolate-based confectionaries readily available in the UAE after a huge rise in retail options and distribution channels, a recent UAE Chocolate Market Opportunities & Forecast 2019 report by TechSci Research has predicted UAE citizens’ busier lifestyles are fostering higher intakes of high-fat foods and creating a demand from health-conscious consumers for sugar-free chocolates. Trixie LohMirmand, Senior Vice President, Exhibitions & Events Management at Dubai World Trade Centre (DWTC), which hosts the ninth edition of Sweets & Snack Middle East from 27 – 29 October 2015, revealed more than 300 specialist exhibitors from both sides of the industry will vie for buyers’ attention at the show. “The global confectionary industry continues to experience tremendous growth, as reflected by this year’s largest-ever Sweets & Snacks Middle East standing at 25 per cent larger than the 2014 edition,” said LohMirmand. With Spanish and UK national pavilions among a host of new countries participating at this year’s show, Sweets & Snacks Middle East 2015 - will house mega national pavilions for Turkey, Germany and Egypt - the latter operating its largest stand since the show’s inception in 2007. Meanwhile, Innova Market Insights - a long-time supporter of Sweets & Snacks Middle East - will highlight ‘Snacking Trends to Watch’ and give tailored presentations focussing on ‘Top 10 Trends 2015: what they mean for the confectionery industry’ and ‘Snacking Trends: key insights on the diversity of snacking’. Elsewhere at Sweets & Snacks Middle East 2015, Modern Chocolate - a leading chocolate company headquartered in Turkey - will put its famous chocolate products on display for visitors to taste. With more than 30 years’ of experience, Modern Chocolate can produce 300 different products under cake, biscuit, wafer and chocolate categories from in its fully-automated and high-tech facilities. One of the biggest FMCG manufacturers in the Middle East, Shirin Asal Group, will feature various products from its portfolio of 60 brands, including chocolate bars and tablets, cocoa powder, cocoa mass, cereal, wafer, cookies and toffees, amongst others. Sweets & Snacks Middle East 2015 will also host the Innovation Awards 2015, which recognise the most innovative, market-oriented confectionery and snacks products. Nominees and winners will be displayed at the show’s special Innovation Gallery. Open 10am-6pm from 27- 28 October and from 10am – 5pm on 29 October 2015, Sweets and Snacks Middle East 2015 - – which is co-organised with Koelnmesse GmbH - runs alongside The Speciality Food Festival 2015 and SEAFEX 2015. The three niche food shows are for trade and business professionals only. General public and persons under the age of 21 will not be permitted entry. Registration is available at the show upon proof of trade status.